In the developing world, the manufacture and the distribution of substandard, non-legitimate medicines is widespread. It has been estimated that up to 10% of all drugs worldwide could be falsified with up to 50% of those some form of antibiotics. When a prescription is filled at the doctor's office or pharmacy today, mostly it is taken for granted that these commonly prescribed medicines are real, and of good quality. A counterfeit or diluted antibiotic cannot only endanger an unwitting patient, but can also contribute to the wider problem of antimicrobial resistance. Image: A simple, paper-based test can quickly identify a falsified or substandard antibiotic (Photo courtesy of John Eisele). Biochemists at the Colorado State University (Fort Collins, CO, USA) have created a paper-based test that can quickly determine whether an antibiotic sample is appropriate strength, or diluted with filler substances like baking soda. Similar to the mechanism of a home pregnancy test, a strip of paper turns a distinctive color if a falsified antibiotic is present. The test is based on the fact that bacteria naturally produce an enzyme that can give them resistance to antibiotics by chemically binding to portions of the antibiotic molecule. The team used this very enzyme, called beta-lactamase, to empower their device to detect the presence of antibiotics in a given sample. For the test, the end-user dissolves the antibiotic in water, and adds the solution to a small paper device. 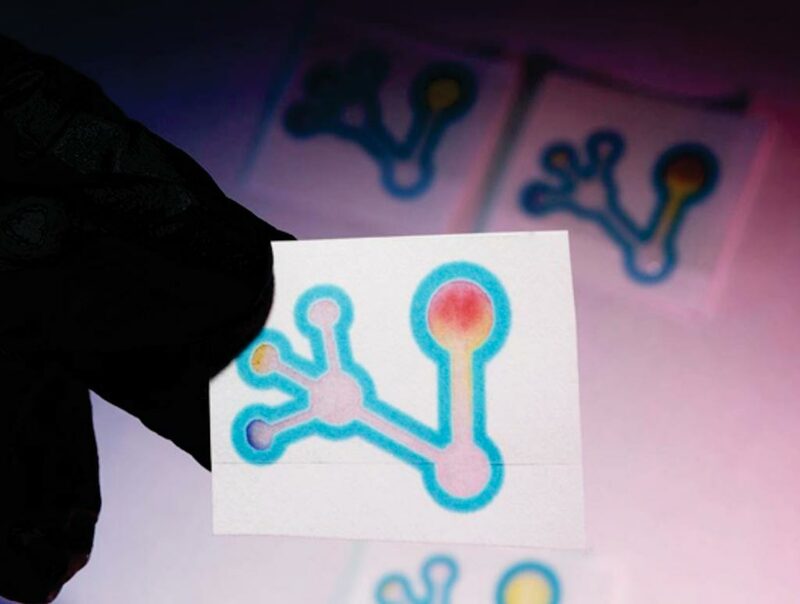 The paper contains a molecule called nitrocefin that changes color when it reacts with the enzyme. In this setup, the antibiotic and the nitrocefin on the paper are in competition to bind with the enzyme in a detection zone. With a good antibiotic dose, there is little color change in the paper strip, because the antibiotic outcompetes the nitrocefin and successfully binds with the beta-lactamase enzyme. But in a falsified or weakened antibiotic, the paper goes red, because the enzyme instead reacts with the nitrocefin. In short, yellow means good (appropriate strength antibiotic); red means bad (diluted antibiotic). The device also includes a pH indicator, to determine if a sample is acidic or alkaline. This extra information could further alert the user to whether a sample has been falsified with filler ingredients, which might otherwise confound the main test. The test is simple and fast taking about 15 minutes, and it can be used by an untrained professional. 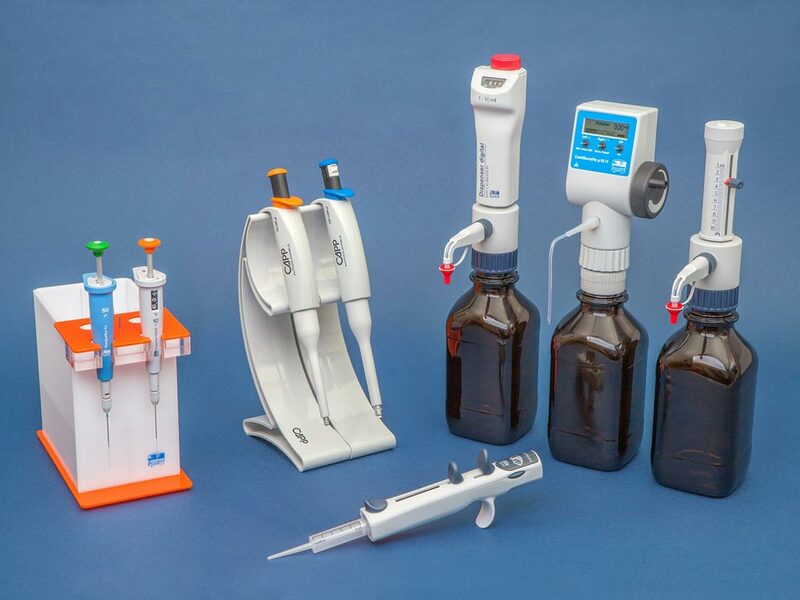 Traditional approaches for testing drug purity rely on large, expensive analytical equipment in laboratories, including mass spectrometry, making it challenging or impossible for developing countries to access easily. To ensure the usability of the device, the team included in their experiment a blind test with five users who were unfamiliar with the device or the science behind it. They all successfully identified 29 out of 32 antibiotic samples as either legitimate or false. The test is effective for a broad spectrum of beta-lactam antibiotics, but there's room for refinement. The sample most misidentified by untrained users was acetylsalicylic acid, which did not turn as red as the other false samples because its acidic pH destabilized the reaction. Being able to more accurately distinguish such specific chemicals will be the subject of future optimization of the new test. The study was published originally published on June 26, 2018, in the journal ACS Sensors.